Banded Kili I believe, Corolla, NC. Dip net on surface at night along with Inland Silversides, Atlantic Menhaden and assorted Freshwater species. It was a freshwater canal leading into the ocean. Both these were caught on a golf course near UNCC in Charlotte. This one was a farm pond in Waxhaw. Saluda, NC. I am 99% sure it's a Highback Chub. This was a creek near Mountain Island Lake, NC. I thought it may be a White Perch but it looks a little like a White Bass. 2. Could be diaphanus, but I would like to see a closer shot to be sure, his body isn't as elongated as I would expect. As for the last 2, I've never seen white perch with stripes, but I'll wait for someone who sees them more often than I do to chime in. Not too good with game fish. Don't discount the possibility of the "H" word there. Thanks for the help guys. In going through my White Perch folder, this is the only one with stripes like that, juvenile or adult. I'm thinking White Bass. Or Hybrid like you said Dustin. Yeah, that's either a white bass or a wiper (hybrid white bass/striped bass) The stripes are absent on white perch. A way to tell in the field is to raise the front dorsal fin. 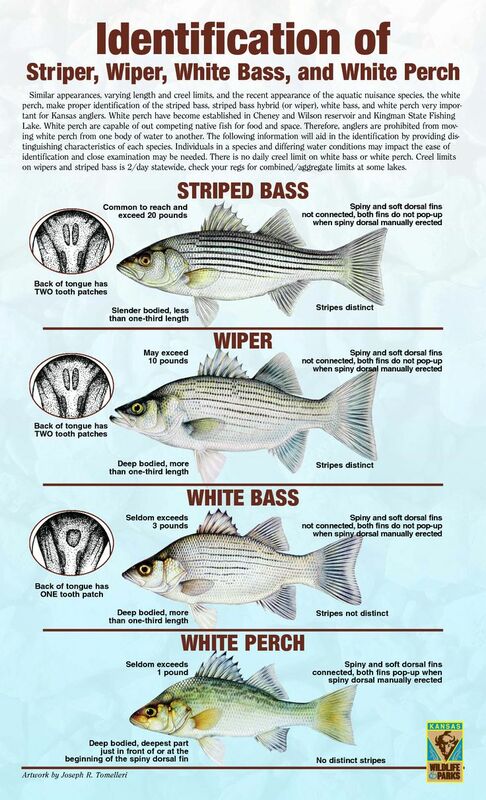 On white/hybrid striped bass if you lift the front dorsal it does not raise the rear dorsal. On white perch if you raise the front dorsal it will raise the rear one as well. I've never heard of them in creeks. I've caught Striped Bass in the same creek up to three pounds, the creek is connected to Mountain Island Lake (Catawba River). After re-reading Scott's response, I am no longer sure about 2. It could also be a mummichog. Interesting, I have a few more, the last is a Mummichog I caught from the same area to compare. I caught it in a mud puddle and the possible Banded Killis were all caught on top of the water.